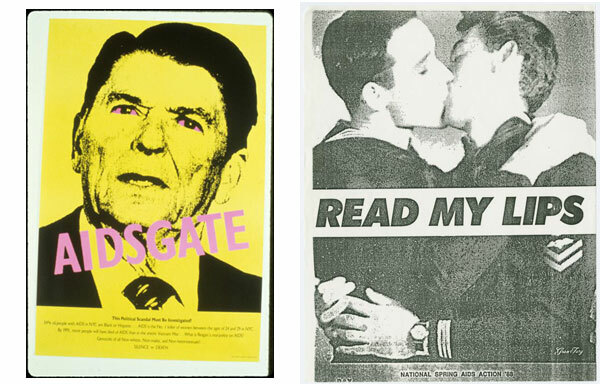 Long before Facebook and Twitter made getting a message out to a mass audience as simple as a couple of clicks, the art/activist collective known as Gran Fury used a heady combination of bold graphic design, guerrilla dissemination tactics, and art institutional support to communicate the urgency of the AIDS epidemic in light of disastrous government and political inaction. 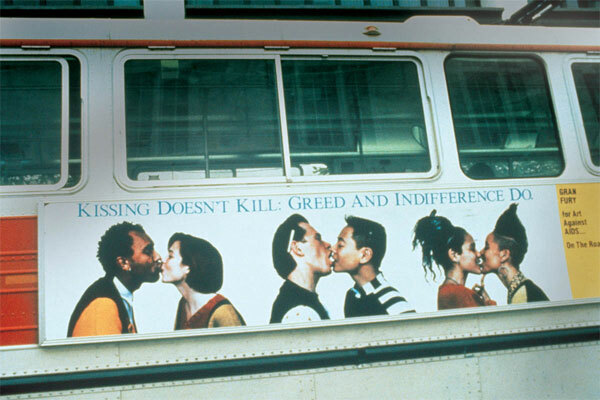 Probably best known for the SILENCE = DEATH graphic that came to define the AIDS/HIV activist movement in the 1980s and early 1990s, Gran Fury was a group of artists and visual provocateurs affiliated with the New York City-based ACT-UP (AIDS Coalition to Unleash Power). The graphic was created as a reaction to a 1986 New York Times editorial by notorious archconservative William F. Buckley, who proposed that all persons with AIDS “should be tattooed in the upper forearm, to protect common-needle users, and on the buttocks, to protect the victimization of other homosexuals.” Gran Fury’s response was an installation in the window of the New Museum, then in a storefront on lower Broadway in Soho, consisting of a neon version the SILENCE = DEATH graphic and photos of some of the persons and entities responsible for aggravating the AIDS crisis (including Buckley himself). 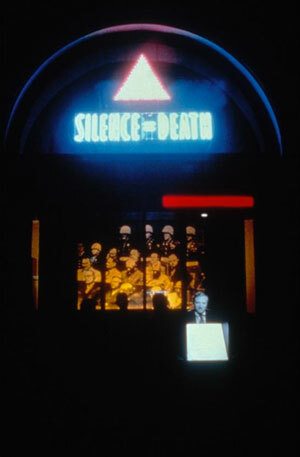 The neon piece became part of the New Museum’s permanent collection, and the SILENCE = DEATH graphic was widely disseminated through t-shirts, wheatpastes, and other printed ephemera. Over the next eight years, Gran Fury would become (in)famous for many other pieces of visually striking confrontational works, all of which would be presented as part of the visual texture of New York City and other urban environments. Gran Fury published several manifestos about the AIDS crisis and their response to it over the course of their existence; this one, published in 1995 just before they disbanded, served as both a look back at their conception and practice as well as an exploration of their complex relationship with the art world at large that had provided so much of Gran Fury’s platforms and support. A 2003 Artforum interview (.pdf file) with some of its members also provides an excellent overview of the group’s history and methodology, including some interesting insight on the challenges the group faced making art as a collective and as part of a greater activist entity. 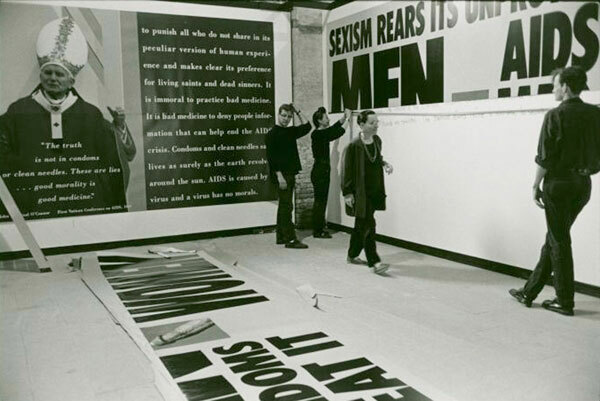 The New York Public Library also maintains a comprehensive digital archive of Gran Fury’s pieces online. As one Gran Fury-inspired piece of activist art continues to remind us, the AIDS crisis is not over. On World AIDS Day, let’s also remind ourselves that Gran Fury’s original call to action is one still worth responding to.